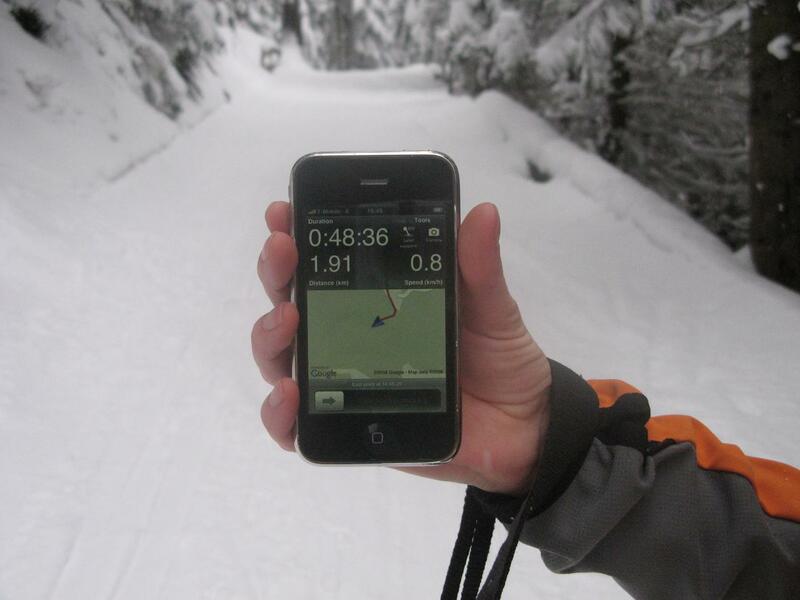 Trails is an iPhone application that lets you import, export and record GPS tracks. Recording works fine, but chews up battery pretty quickly. Feels a bit odd to look at the green Google Maps cartography on the display when everything around you is covered in snow. I should probably file a feature request for real-time map colour coding with Google – so some 20% project mastermind can do a kick-off, dig into real time weather and snow forecast data, figure out an algorithm and then use some magical filter to give the map a more realistic look – a cold snowy one that would be here. Or how about OpenPiste Map? Hold on, I just saw I can now style my own map. But then, how do I get it displayed on the iPhone afterwards? Dieser Beitrag wurde unter iPhone abgelegt am 4.3.2009 von admin. You could ask the Trails developers to allow you to use your own style?